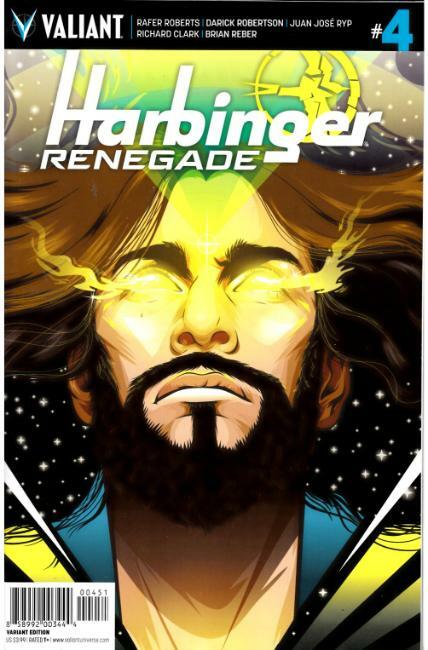 Faith Herbert, the heart and soul of the Harbinger Renegades, has been captured! Now, Peter Stanchek, Kris Hathaway, and John Torkelson must put their powers to practice and rescue their beloved ally from a radicalized group of psiots bent on fraying the fabric of society. But as the rechristened Renegades make their move, their newfound rivals strike first by making Peter an offer he can't refuse. As the clock ticks closer to tragedy, will the omega-level harbinger make a do-or-die decision to save his friends... or himself? Valiant's latest smash-hit series fires back onto the frontline as multiple Harvey Award nominee Rafer Roberts (Plastic Farm) and superstar artist Darick Robertson (Transmetropolitan, The Boys) present the final moment of truth!